Gone are the days when animal welfare meant only food, water and shelter. Now the minds of animals are also thought of as another necessary factor to care for. Many zoos, aquariums and other such facilities working with animals are now putting emphasis on enriching the daily lives of their captive creatures. It’s not just mammals that can benefit from enrichment, everything from insects to rodents, and cephalopods to reptiles can too! 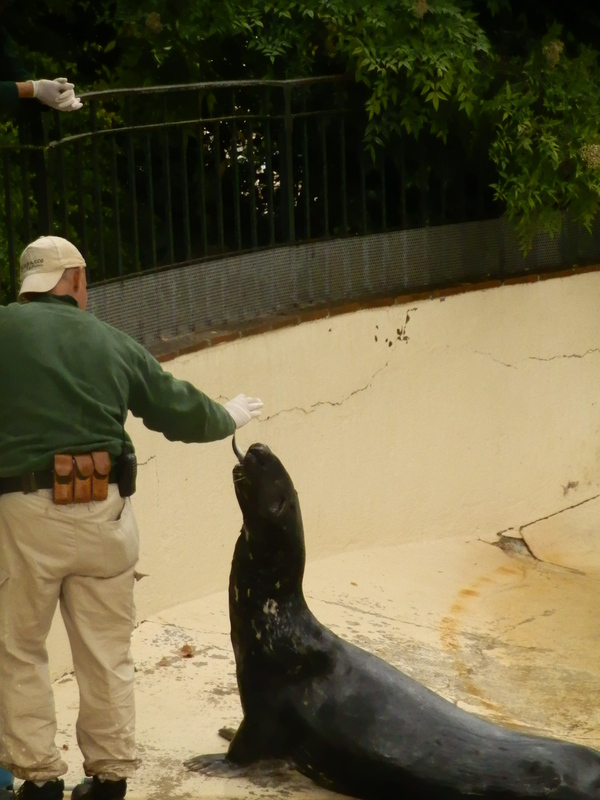 Enrichment can start off with simple everyday tasks that increase brain functions, such as having animals forage throughout their exhibit for their food. Food itself is a great enrichment tool. Creating frozen juicesicles of particular foods or by placing food, such as honey or peanut butter, in tricky locations where the animal must work to get at it. 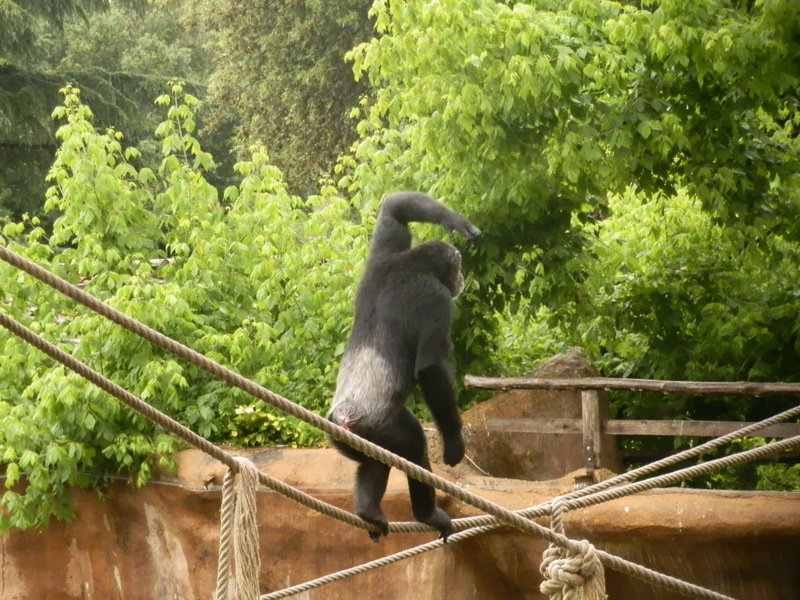 Primates and great apes are the best at this, as they pick up and use tools such as sticks to obtain the food. Providing animals a social setting is also beneficial to their well-being, whether it’s with the same species or being in a multispecies exhibit. Another effective tool, especially for any of the felids (cat species), is to use scent markers. Whether it’s another animal’s urine or even perfumes put on trees, logs or other exhibit furniture, it helps stimulate their olfactory senses. Even rotating enclosures among like species, like at the Great Cats exhibit at the Smithsonian National Zoo, encourages animals to investigate their spaces and do natural behaviours such as scent marking. Also, having a complex environment for the animals to explore with trees, dens, foliage and in the case of mountain goats a tall, steep, rocky structure (to resemble their natural habitat) is great for enrichment. Training is also used for many species, using target training or crate training is effective not only to enrich the lives of the animals but also helps to keep them calm and comfortable in situations such as being moved somewhere or for health check ups and other veterinary needs. Painting is yet another enrichment device that doesn’t apply to many animals, but for those such as elephants and primates it has been very successful.